Does Flowtech 31100 fit your vehicle? 31100 is rated 4.3 out of 5 by 3. Rated 3 out of 5 by 71nova from Arrived dented. Headers are fine but they arrived with a dent which, unfortunately, I didn't notice until I was installing them and couldn't turn back. These header should fit your application. No, this will not fit angle plug heads. Can this same profile header be bought in chrome? 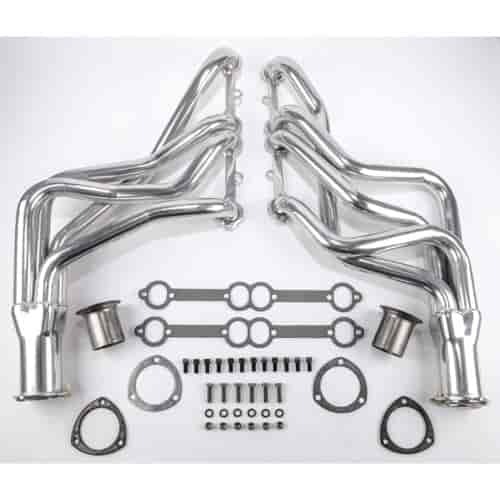 Flowtech does not make a chrome finish header like this.